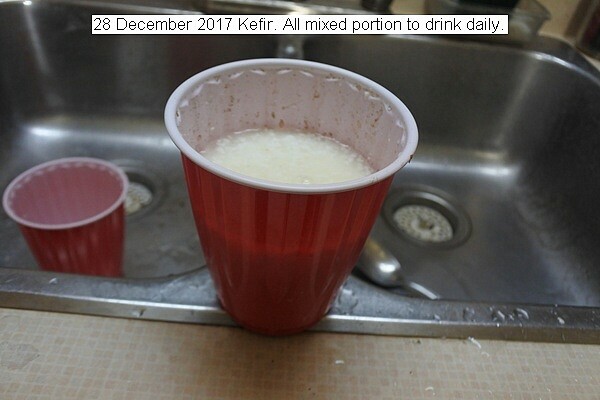 Daily making of kefir simplified. Tablespoon of solids is removed from an old batch, mixed with 400 ml of whole milk, placed in a clean half pint jar and set in a dark place at room temperature ~20C for 24 to 30 hours until whey separates out. The remainder is mixed and consumed. Probiotics for the day. A new batch of kefir. 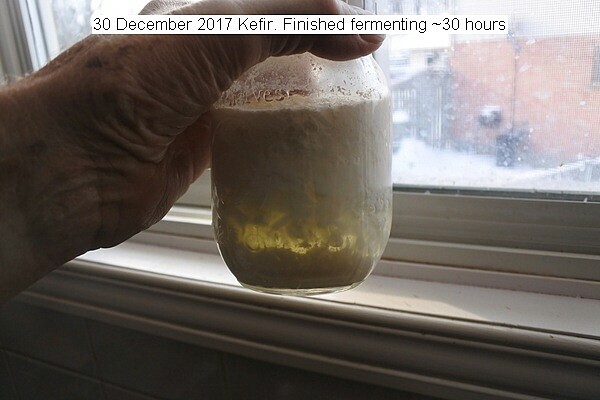 This entry was posted in Uncategorized and tagged 28 December 2017 Kefir, Making Kefir, Probiotics Kefir. Bookmark the permalink.